Talk about a delicious sandwich. 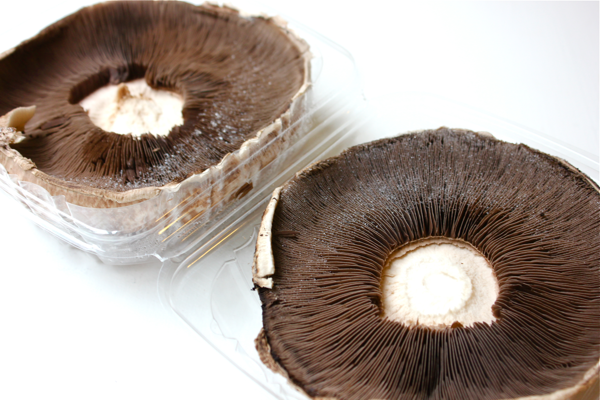 I got two large portobello mushrooms in my vegetable delivery, and I just didn’t know what to do with them. David doesn’t like mushrooms, so a large risotto was out of the question. Here is a very simple, healthy, vegetarian sandwich that I think is perfect for a warm summer day. It just screams freshness! 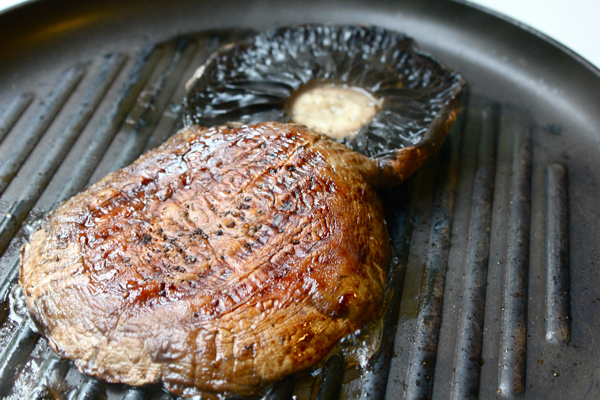 To make the burgers, take 1 large portobello mushroom per burger, and drizzle the top of the cap with olive oil. Then, sprinkle on some salt and pepper. Grill the caps top-side down, covered, for about 8-12 minutes until they are fork-tender. I cooked my mushrooms on a grill pan over medium-high heat, and I tented them with tinfoil to keep the heat in. 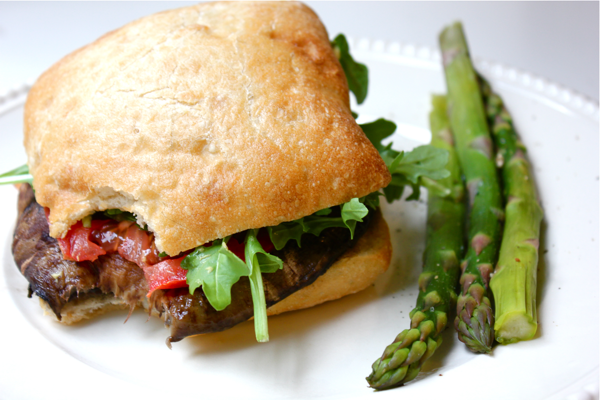 While your mushrooms cook, toast a hamburger bun or a ciabatta roll, and prepare your toppings. I spread some olive tapenade on the bottom piece of bread and dijon mustard on the top piece. 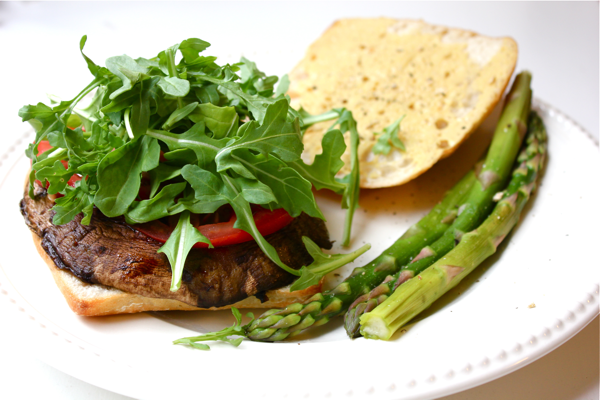 On top of the mushroom, I placed a sliced tomato and a heaping handful of fresh arugula. I made another sandwich the next day with the second, cold mushroom, and it was even more refreshing. It tasted less mushroomy when it was cold too. Maybe David would have even liked it, but it wasn’t around long enough for him to get the chance to taste it. No regrets!